The water level of the Dead Sea drops by more than one meter per year. Thousands of sinkholes, sudden strong rainfall events and flash floods are among others, the challenges facing the population and the environment in the region. The underlying processes were studied by scientists from Germany, Israel, Jordan, and Palestine at the DESERVE Helmholtz Virtual Institute; the work was coordinated by the Karlsruhe Institute of Technology (KIT). Their findings contribute to prediction models, risk assessments, and adaptation strategies. "Environmental Research on the Edge of Extremes" will be presented by the DESERVE scientists at the closing event in Halle (Saale) on September 12, 2017. The interested public and representatives of the media are cordially invited to attend. The Dead Sea extends over 90 km in the north-south direction in an unique scenery of desert, semi-desert and oases – more than 400 m below the sea level at the lowest land site on earth. The region constitutes an "open-air laboratory" for climatologists and environmental scientists as well as geoscientists. Besides the lake level decline there are environmental risks such as desertification, pollution of drinking water by brine, flash floods, sinkholes and earthquakes. The meteorological, hydrological, and geophysical processes and their interactions underlying these phenomena were studied for five years by scientists of the Karlsruhe Institute of Technology (KIT), the GFZ – Deutsches GeoForschungs-Zentrum Potsdam, and the Helmholtz-Zentrum für Umweltforschung (UFZ) in Leipzig within the DESERVE Helmholtz Virtual Institute together with local partners (DESERVE stands for "DEad SEa Research VEnue"). "Reliable data are a precondition to understanding these environmental processes – and thus to the development of prediction models allowing, for instance, forecasts of evaporation and water availability, but also risk assessments and warning systems," explains Professor Christoph Kottmeier, KIT meteorologist and spokesman of DESERVE. "The three major challenges water availability, climate change, and environmental risks were in the focus of our work. We were only able to address them in an interdisciplinary approach together with partners from the countries bordering on the Dead Sea." The objective was to document the scientific state of the art as a basis for future decisions and environmental policy. 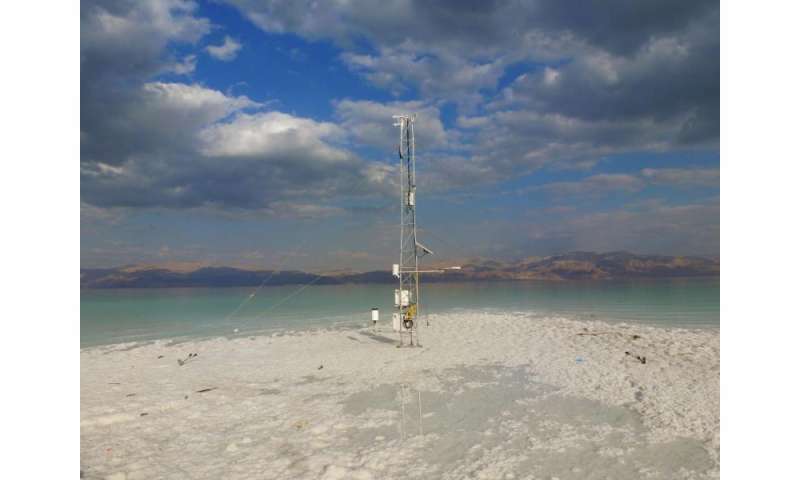 For this purpose, the scientists conducted long-term monitoring and intensive measurement campaigns at more than 150 locations around the Dead Sea. This included the lowest meteorological monitoring station in the world at 429 m below sea level. Part of this network of monitoring stations will be available also to future projects. The scientists at KIT studied in particular evaporation. Since many years, the water level has been dropping by more than one meter per year. One reason is that about 90 percent of the water volume of the Jordan River is extracted by the riparian states for drinking water and agricultural purposes before the river reaches the Dead Sea. "However, our data also show that evaporation greatly contributes to the decrease of the water level," says KIT meteorologist Dr. Ulrich Corsmeier. "Strong winds periodically arising in the evening right after sunset and intensify in particular evaporation." Along with the lake level decline, groundwater levels decrease. The consecutive fresh water flow dissolves underground strata of salt. This produces cavities in the underground which finally collapse. These sinkholes, also referred to as dolines, endanger buildings, roads, and agricultural areas. 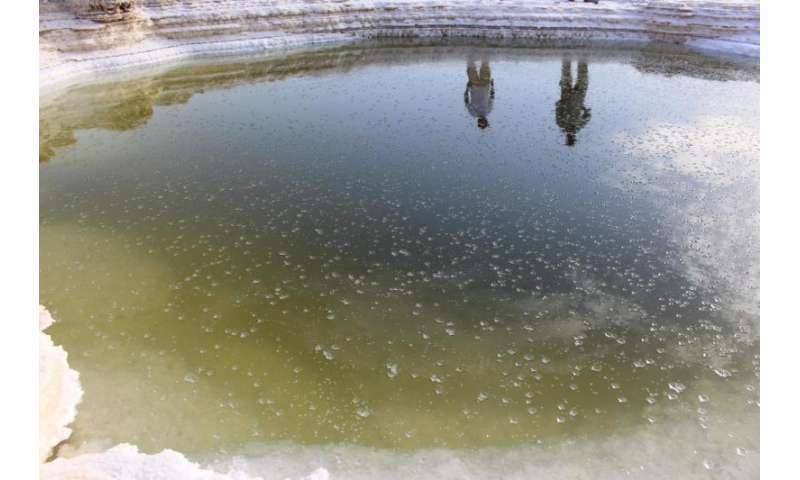 Scientists from the GFZ and their colleagues in DESERVE work to learn more about the development of these sinkholes and, ideally, even predict their occurrence. In addition, powerful flash floods constitute a problem. After strong rainfall, which may occur in a very limited area only, flash floods can occur in the narrow valleys far from the rainfall and constitute a major hazard to people. Research work of the UFZ focused on studying and modeling the changes in the available water resources due to climate and land use change. 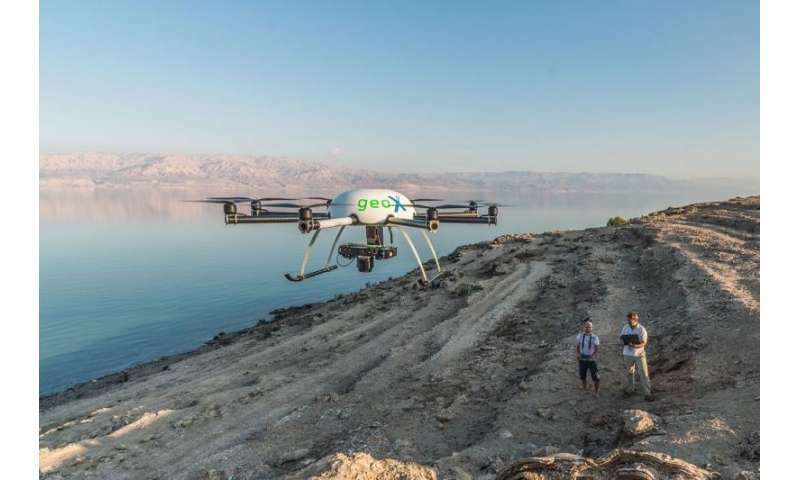 The result is a groundwater flow model for the entire Dead Sea catchment, an area of several thousand square kilometers covering Jordan, the West Bank and large parts of Israel and Syria. In this context, the scientists also investigated the origin of flash floods occurring in usually dry rivers draining to the Dead Sea. After all, the massive destructive water masses during flash floods cause enormous damage to the existing infrastructure, but also help to refill the Dead Sea.